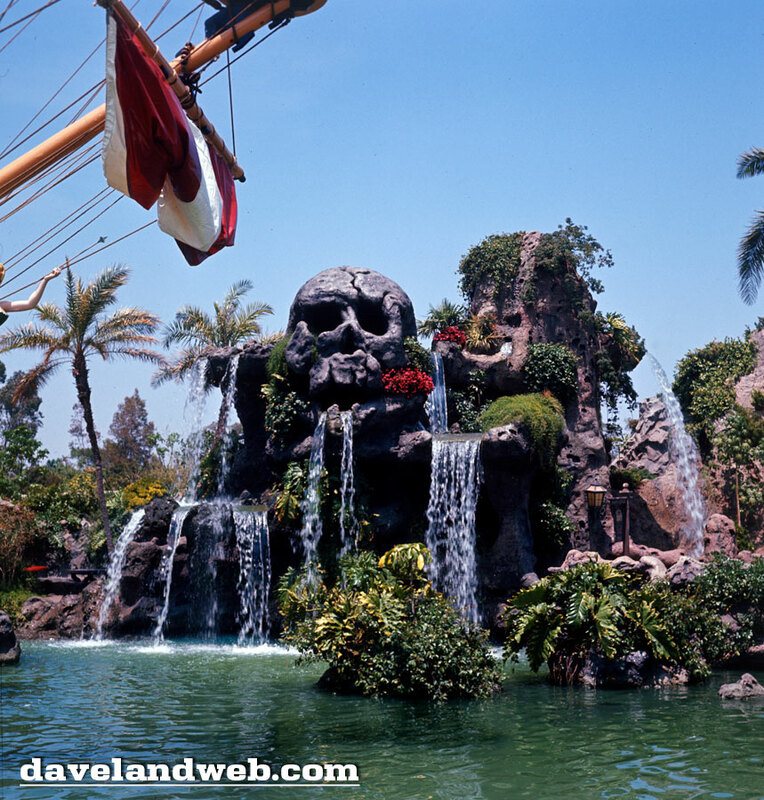 Over in Fantasyland, Skull Rock is spitting out the water, providing shelter for those who want to eat their Chicken of the Sea Tuna Boats al fresco. 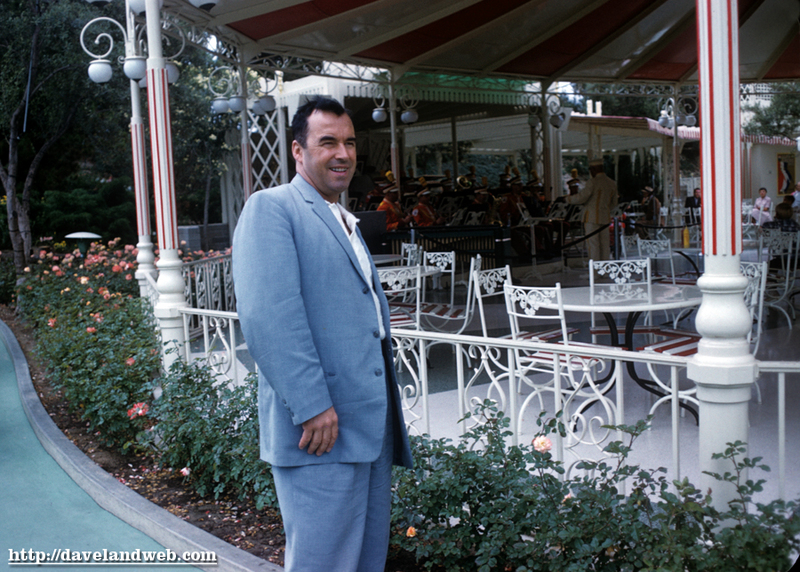 If you've had enough of Fantasyland, you can take the Skyway over to Tomorrowland. 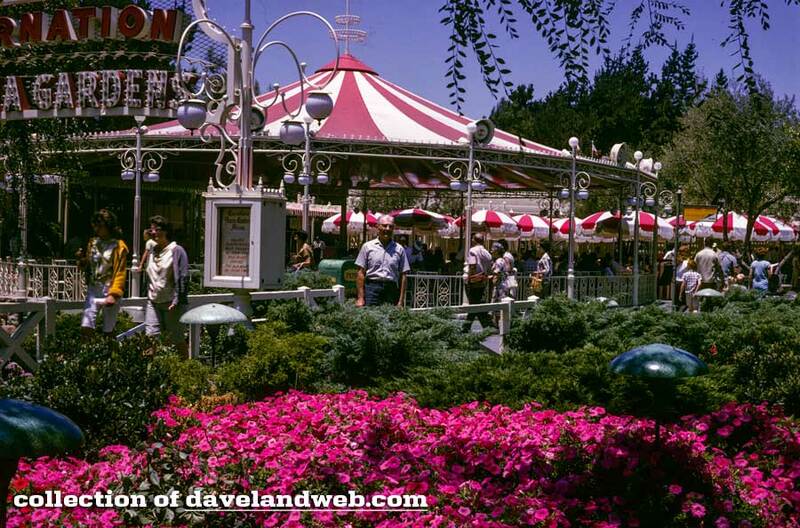 This is one of those golden shots that shows all of the movement that made Tomorrowland so vibrant back in the 1960's. 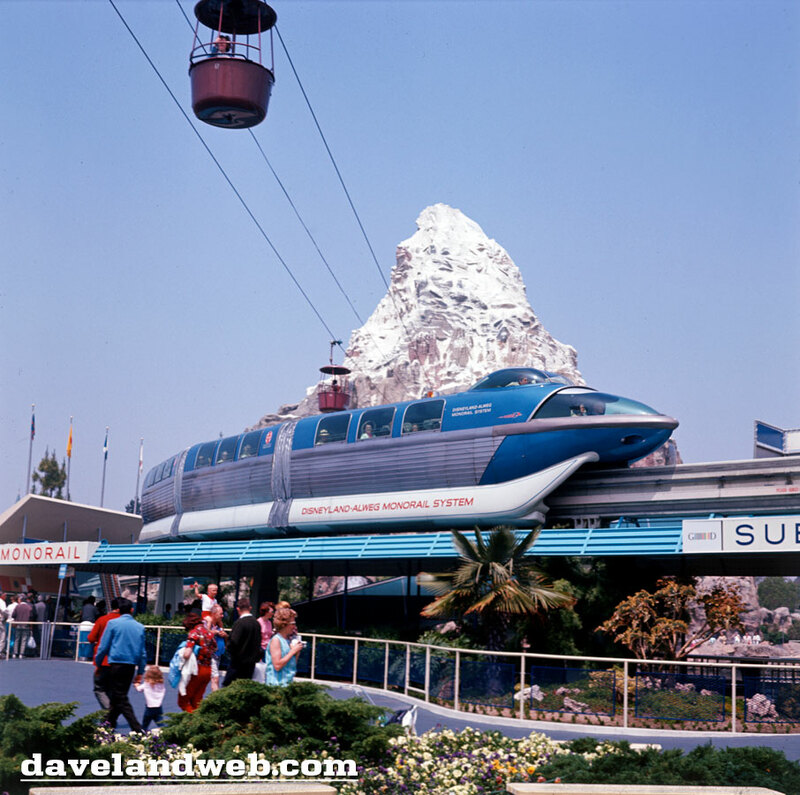 Subs, Monorail, and The Skyway. 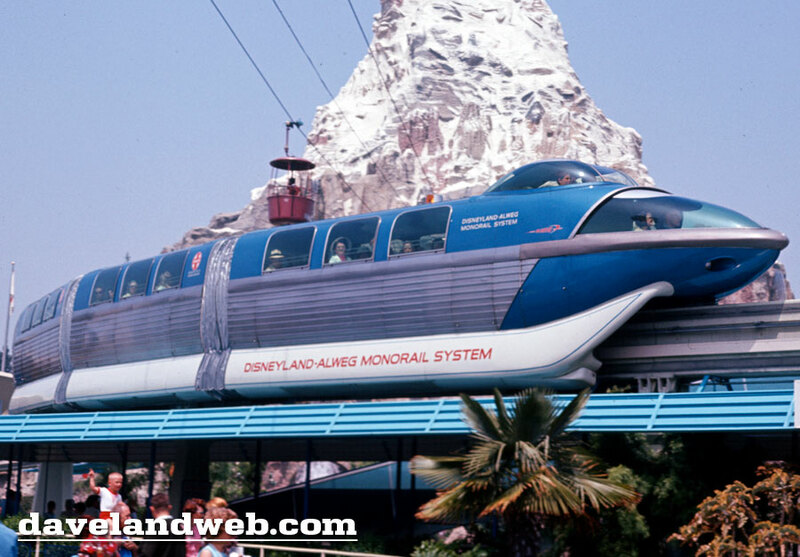 In just a few years, The PeopleMover would join the mix. 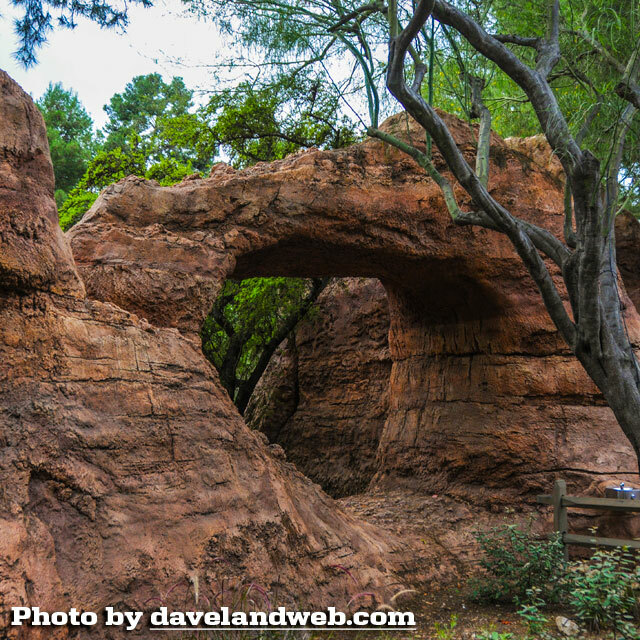 Back in Frontierland, a guest is attempting to capture a photo of the Nature's Wonderland Mine Train. To his right is Mineral Hall. If only I could find an interior view of that shop. Follow my Daveland updates on Twitter. 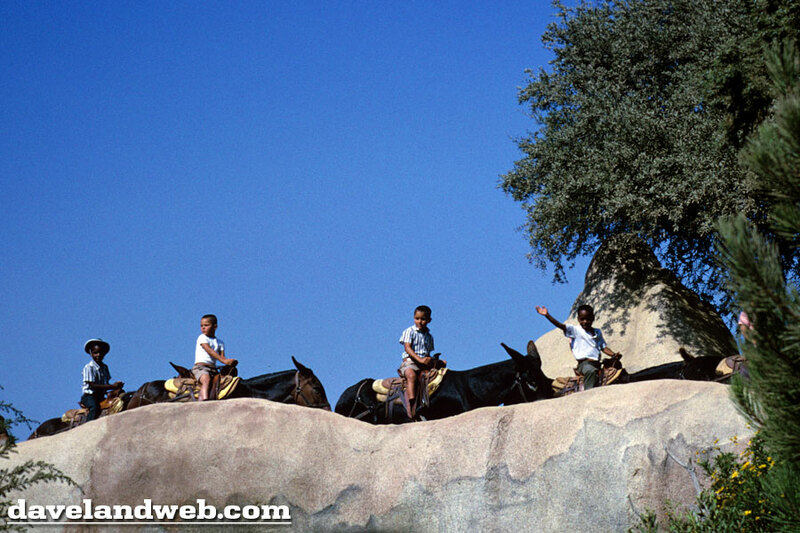 See more Disneyland photos on my Disneyland web page. 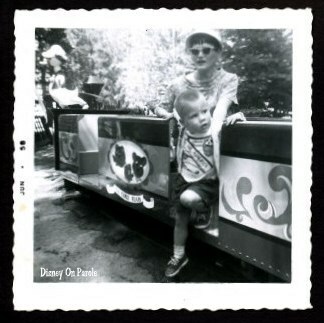 Here are a few pics of my brother and Mom from June 1958; I love the Big Bells hanging from the eves in the 3rd photo. 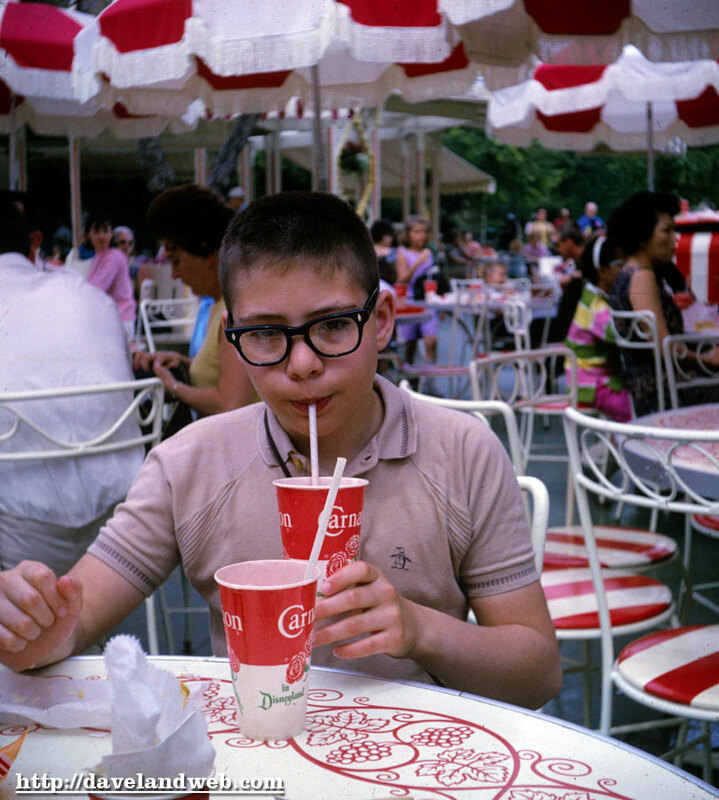 I remember going there in 1964 before we hit Disneyland…what a trip that was! 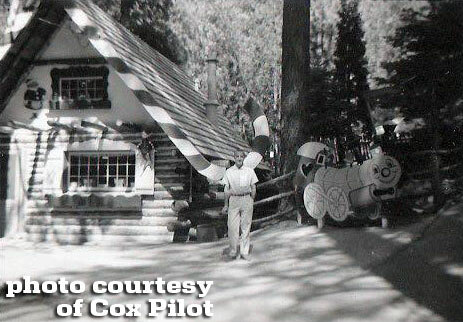 Many thanks to Cox Pilot & Disney on Parole for sharing these photos! Follow my Daveland updates on Twitter. 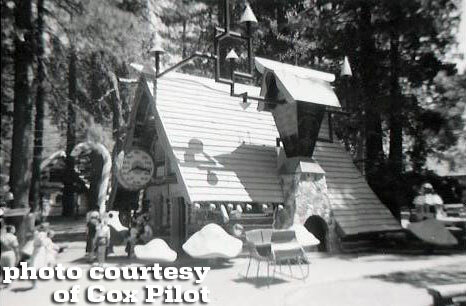 See more vintage Santa's Village photos on my Santa's Village web page. With the imminent destruction of the Plaza Gardens looming, I thought it was time to do a tribute to this very special spot at Disneyland. 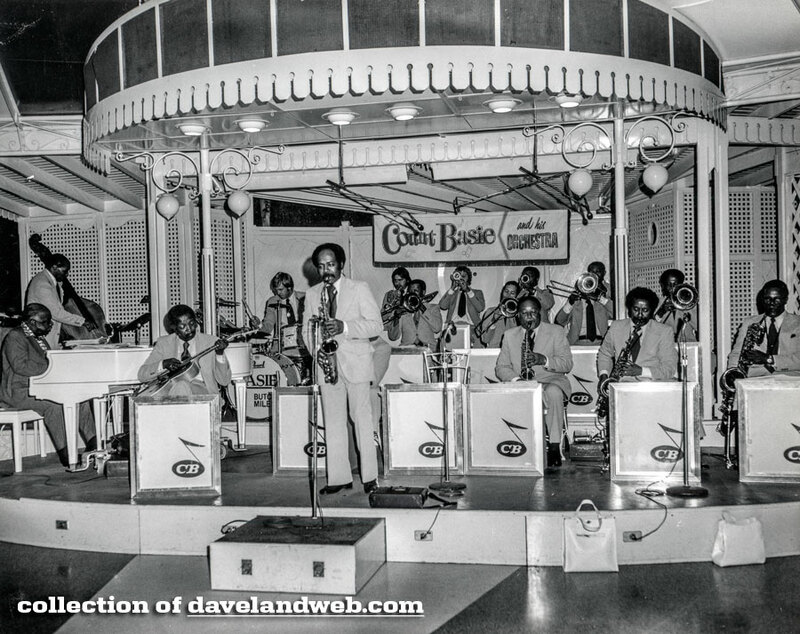 The original bandstand that was located in this area was moved over to Adventureland to become part of Magnolia Park, leaving an opening at the end of Main Street for a place that guests could listen to live music. 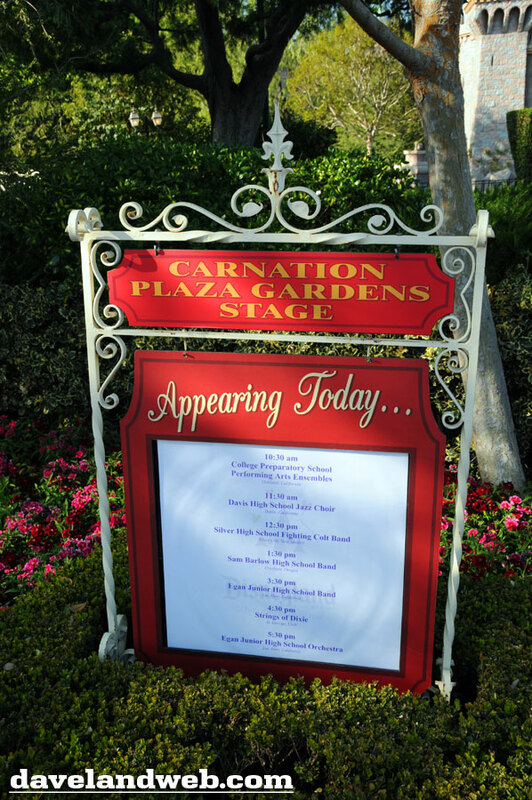 Thus, the Carnation Plaza Gardens. 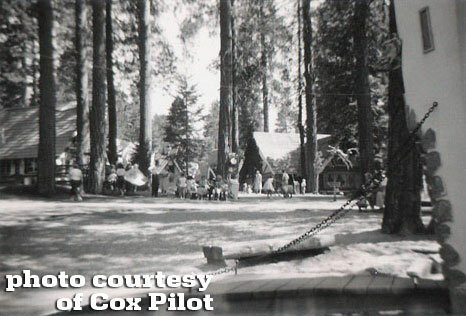 Although it opened on August 18, 1956, the earliest photo in my collection is this first image dated May 1959, followed by a July 1963 view. 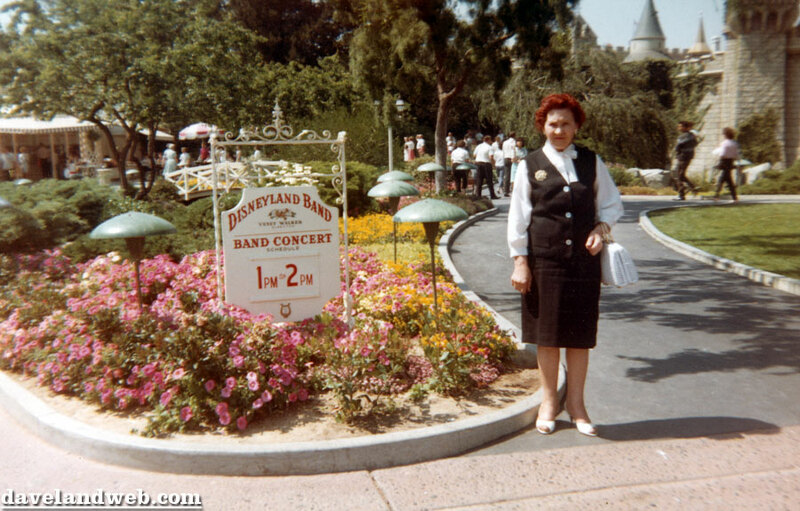 When it was recently announced at the D23 Expo that the Gardens were going bye-bye and being replaced by a Fantasy Faire Princess Meet-And-Greet, a minor rumbling ensued. 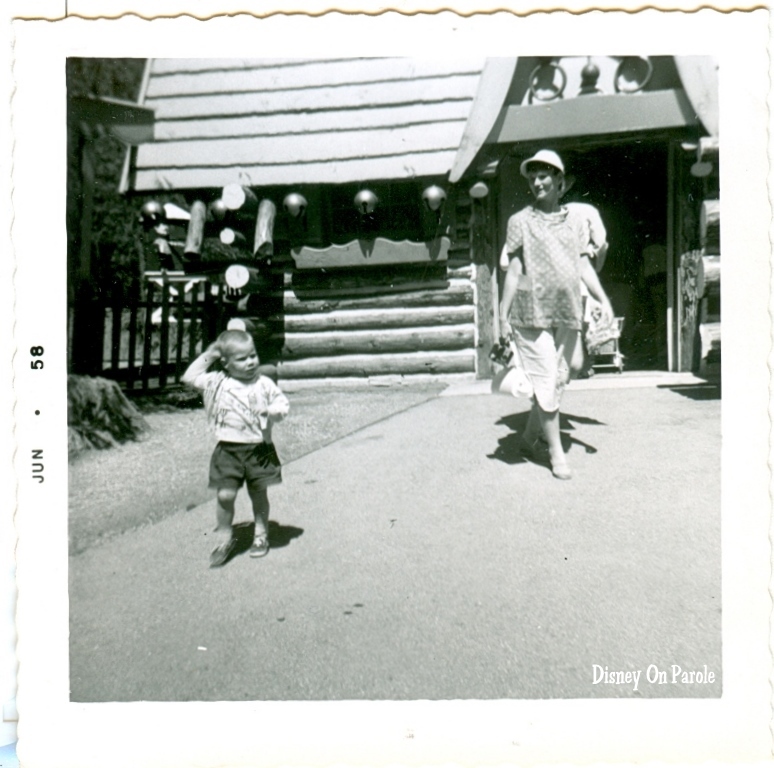 What caused the ruckus over a parcel of land that rarely sees much guest traffic on a typical day? I can't speak for everyone else, but for me, that's exactly why I loved it. 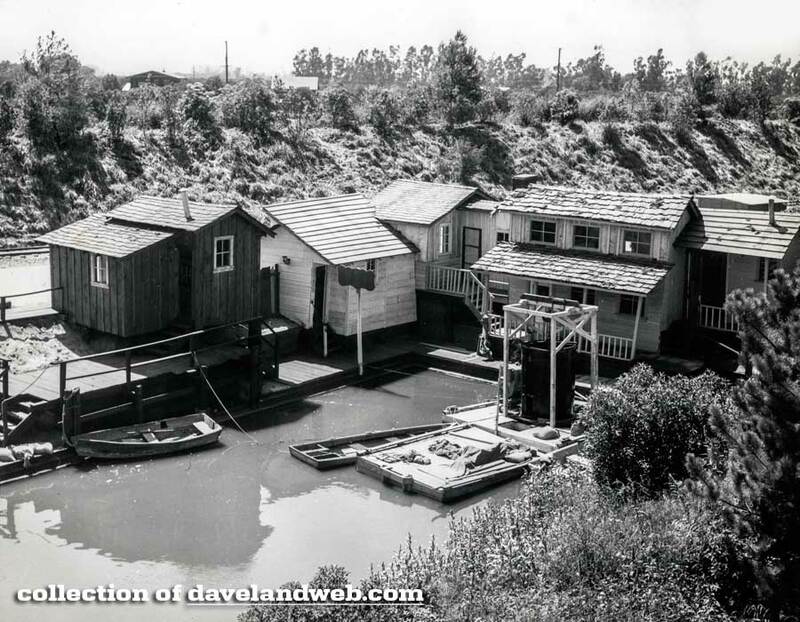 It's one of the few remaining "undeveloped" parts of Disneyland where you can take a load off your feet and not be surrounded by a swarm of slobs running over your feet with strollers and swinging ten-ton souvenir bags loaded with plush. 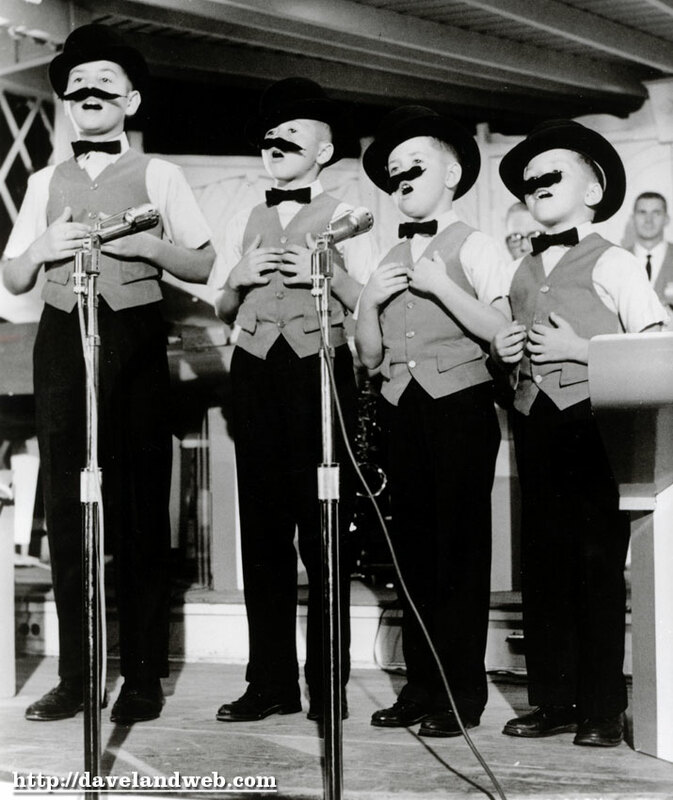 and the list goes on: Artie Shaw, Benny Goodman, Harry James, Tex Benecke, and Cab Calloway. 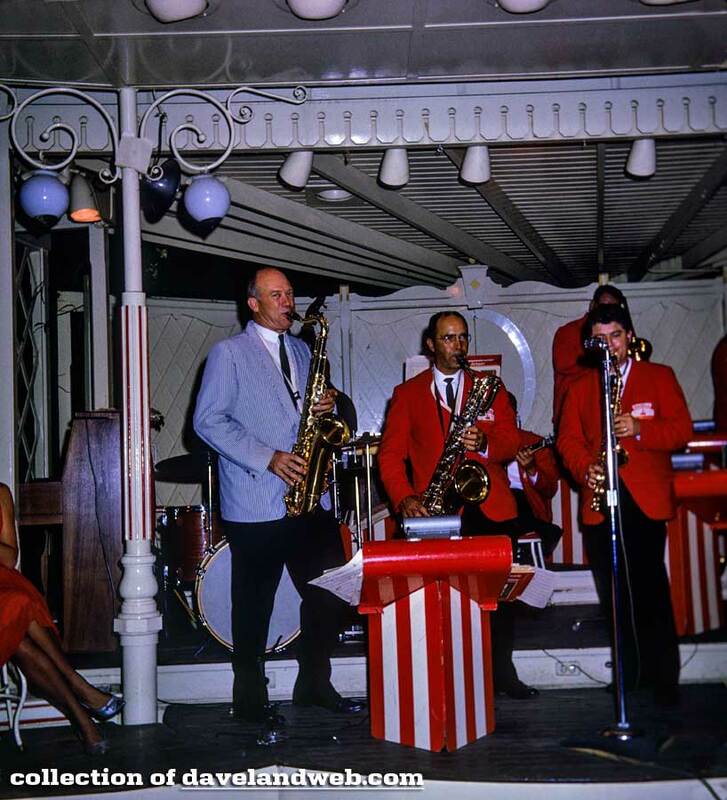 Besides the gifted professionals that played here, High School Bands, Choirs, Orchestras, and Dance Groups also entertained guests from the Plaza Gardens. I know because my High School Band played here back in 1980. 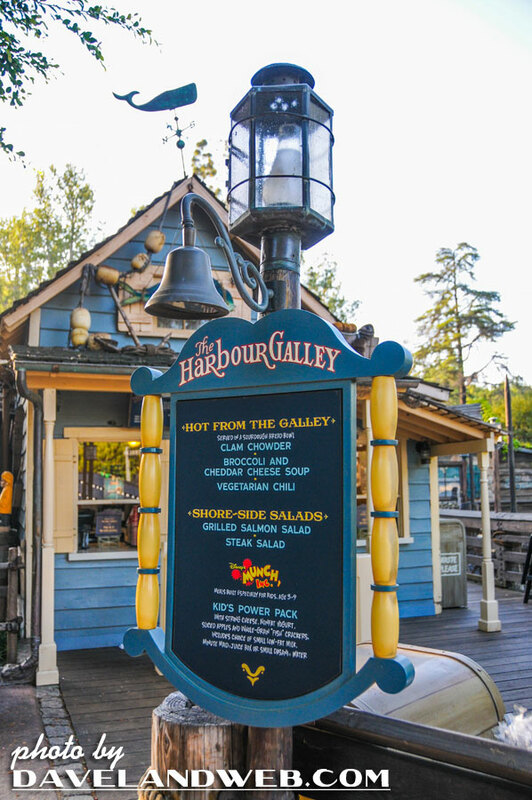 Guests were also able to get food and beverage from a walk-up counter located at the back of the wall here. 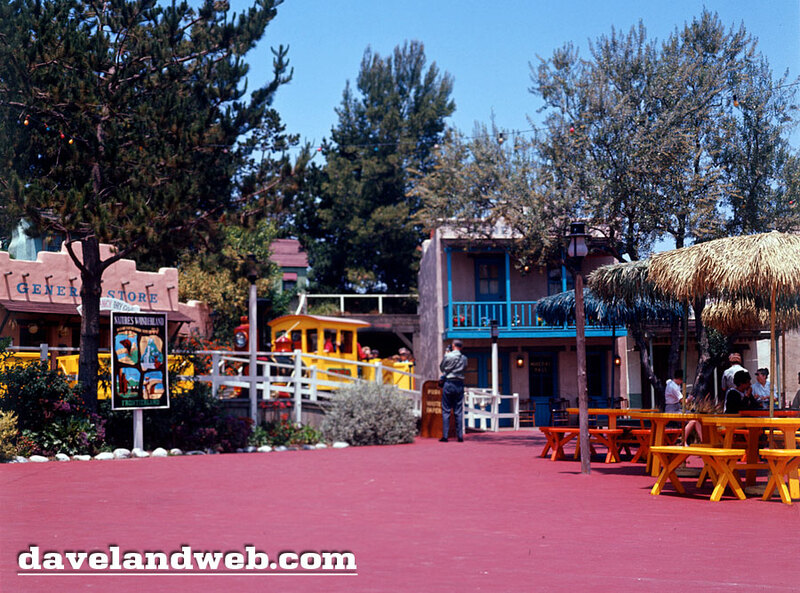 Eventually, it was replaced by the Frontierland-themed pass-through and restroom area. 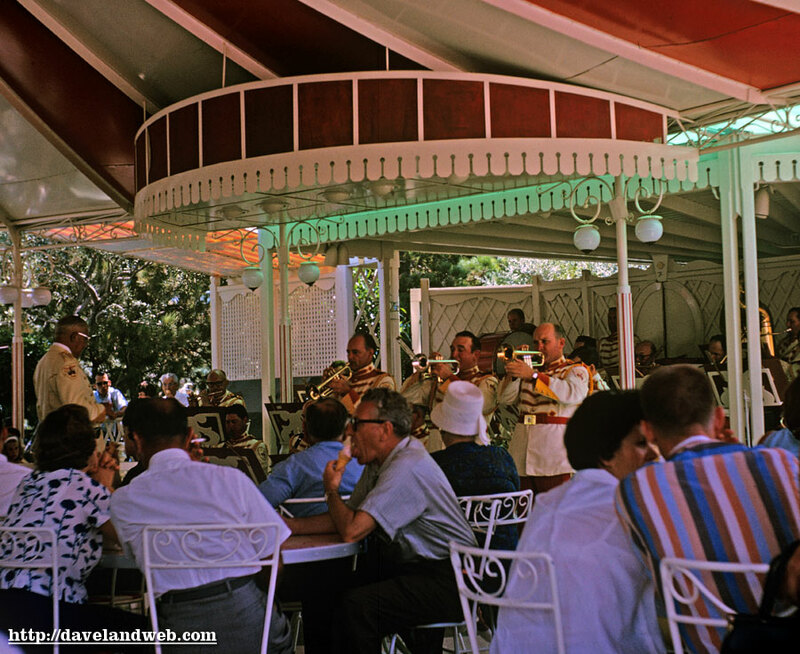 Guests who were hungry would have to settle for the cart that sold turkey legs on Central Plaza after that change. Another reason I feel the new Fantasy Faire is a blunder is because it's another blurring of the lines between lands. 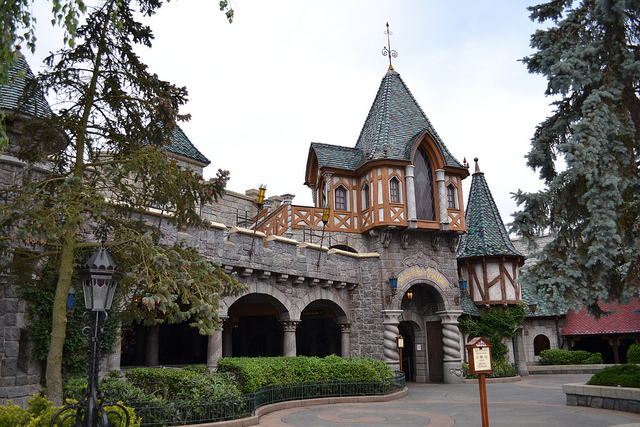 Each land has a special entrance, giving guests a sense of wonder as they pass underneath the arches or through the gate or over the drawbridge as they step into the magic. 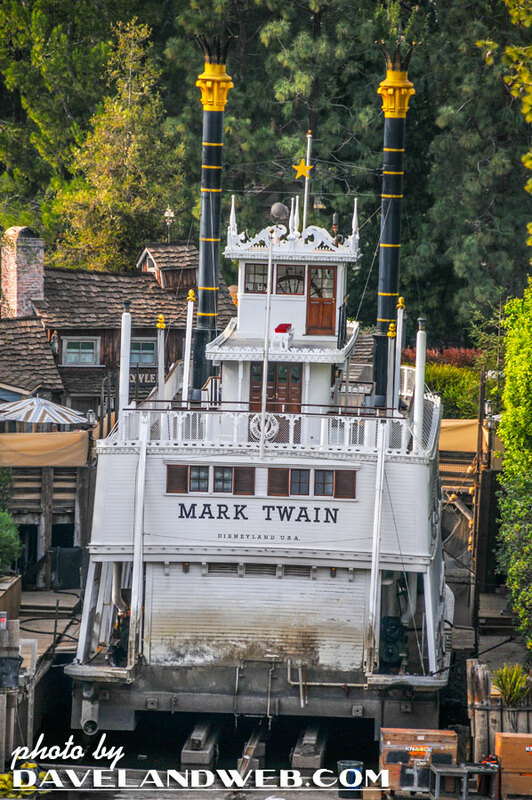 The Tomorrowland remodel blunder of the past which stuck the Astro Orbiter smack-dab in the entrance only served to make Disneyland look more cramped. 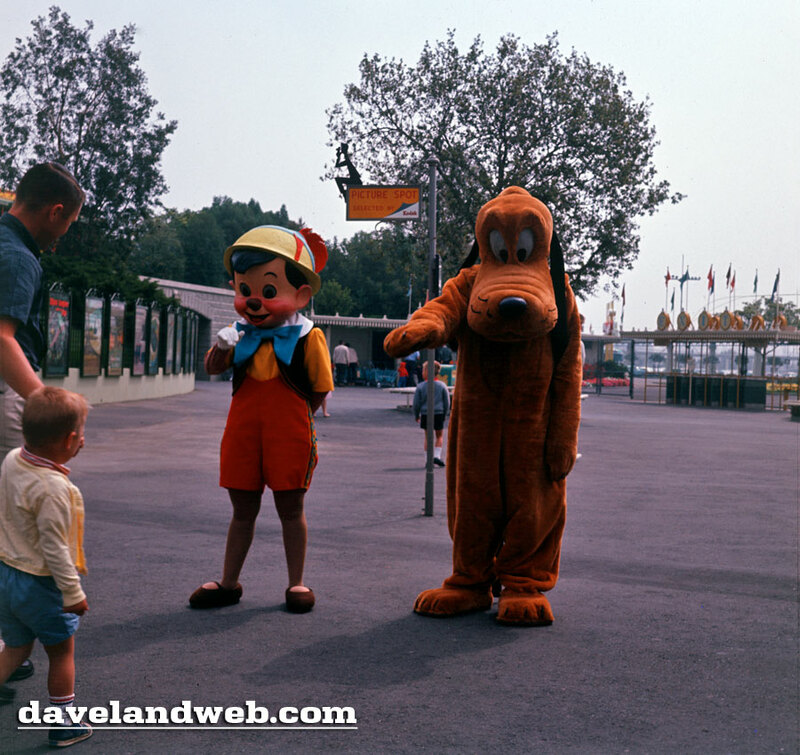 It broke any illusion guests were previously given about scale and chipped away at their sense of wonder. 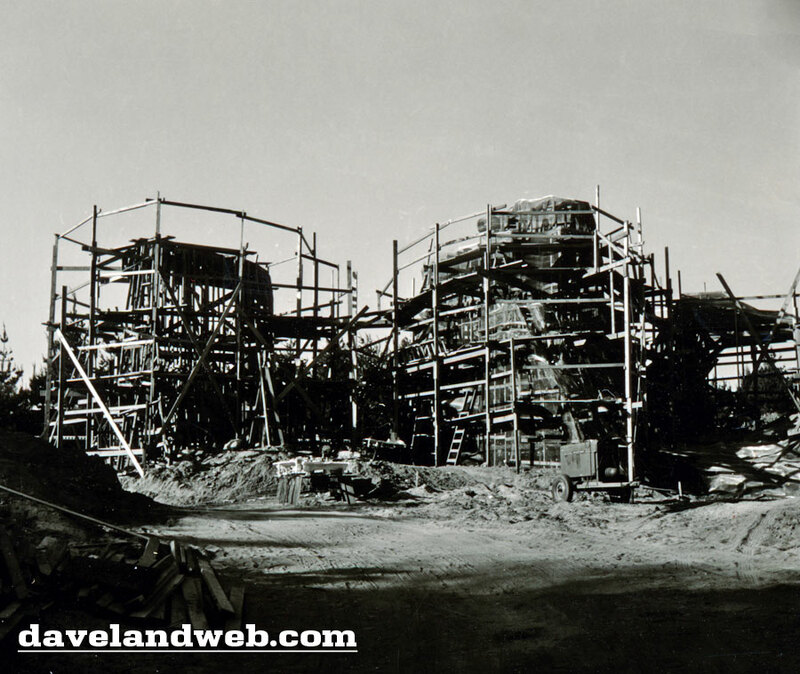 Sure, Walt stuck the House of the Future outside of the Tomorrowland gate originally, but he had it removed when the 1967 New Tomorrowland project was begun. For what it is, Pixie Hollow was done very well, but it's still a meet-and-greet with a blatant push at the end for guests to buy merchandise. Tacky tacky. At least the Snow White Wishing Well is peaceful and gives guests a teaser of what lies beyond the Castle without any gimmicks or crass commercialism. 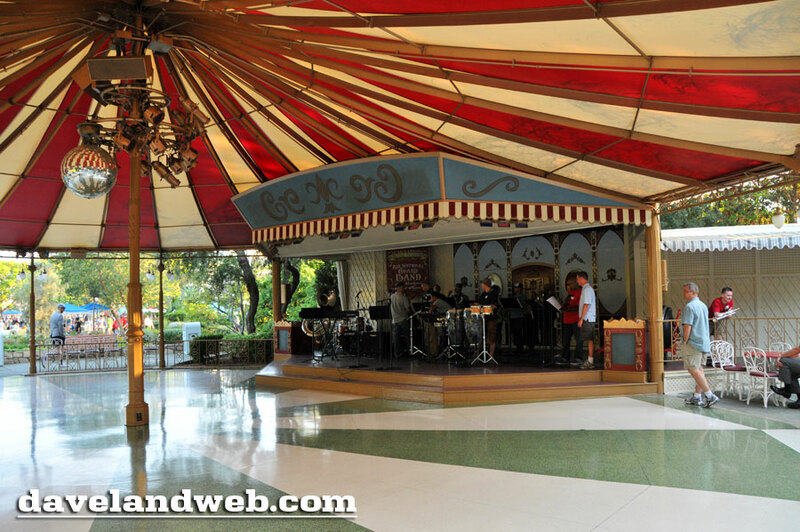 The folks at Disney have promised that the beloved Swing Dancing at Night will continue, but holding it in a Fantasyland Village inhabited by the Disney Princesses just doesn't have the same vibe. I view this as a half-hearted appeasement to keep the loyal few quiet. 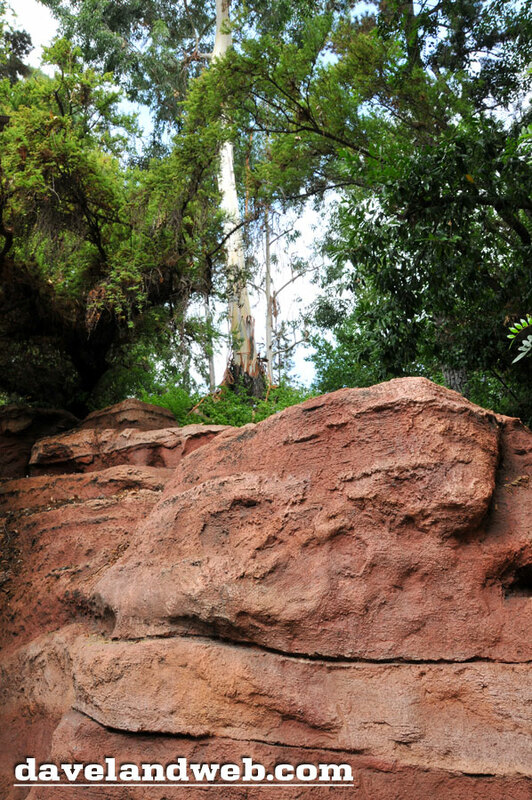 I realize that the majority of guests at Disneyland probably don't care about the history of the Plaza Gardens or its peaceful nature; they are probably excited about seeing something new, regardless of any of the reasons I've stated here. I also understand that it's a matter of dollars and cents; why not put something here that can generate revenue instead of just being dormant so much of the day? If you have to ask, then you just don't get it. In the meantime, I'll be hunting down a new spot that the typical park patron avoids in their rush to buy another churro. Auf wiedersehen, Plaza Gardens. One day you're in...and then 55 years later, you're out. I will miss you. 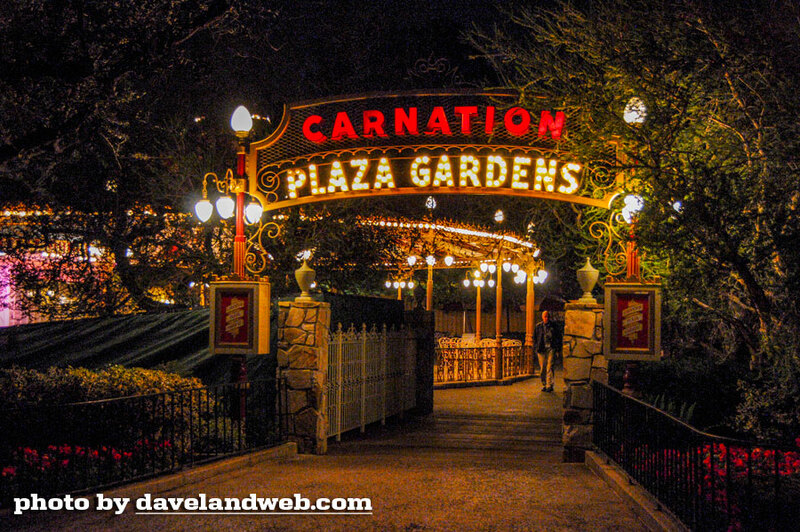 See more Disneyland Plaza Gardens photos on my Plaza Gardens web page. 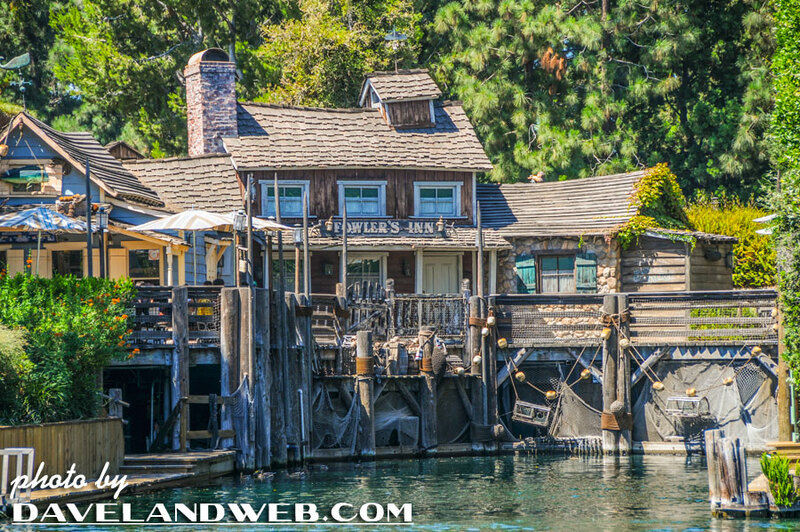 In a little corner by the Rivers of America, you'll see this rickety-looking set of buildings that Walt originally dubbed, "Joe's Ditch." 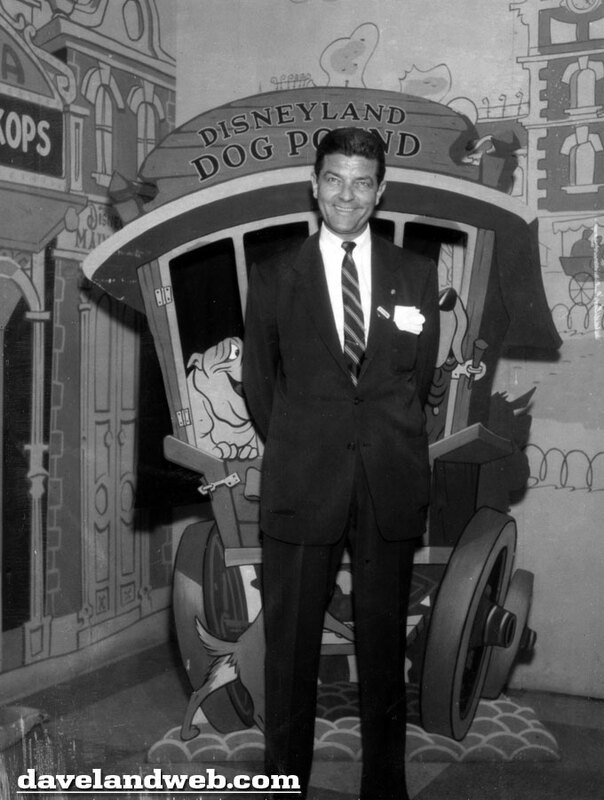 Retired Admiral Joe "Can Do" Fowler was one of those key people that made Disneyland possible. 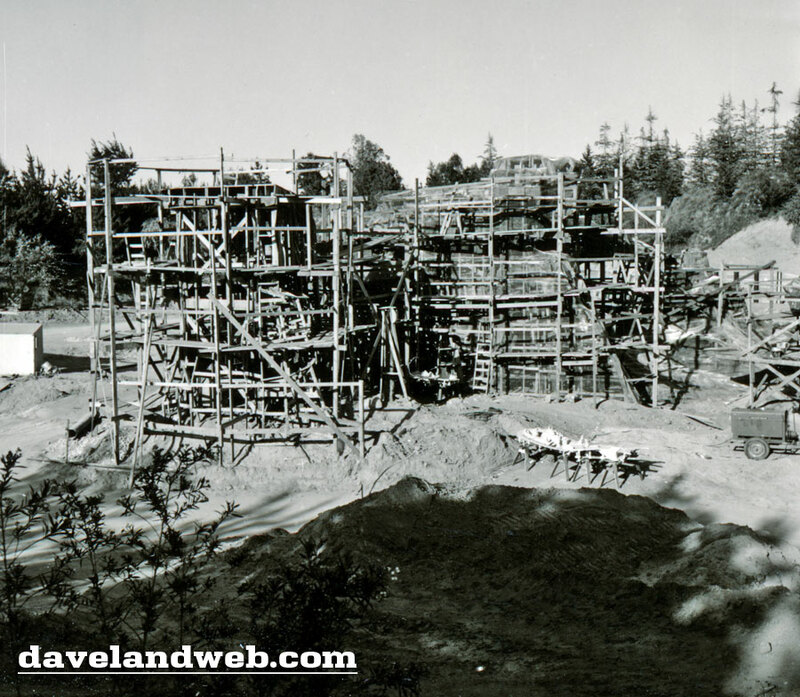 Without Fowler pushing construction crews, everyone's favorite theme park in Anaheim never would have opened on July 17, 1955. 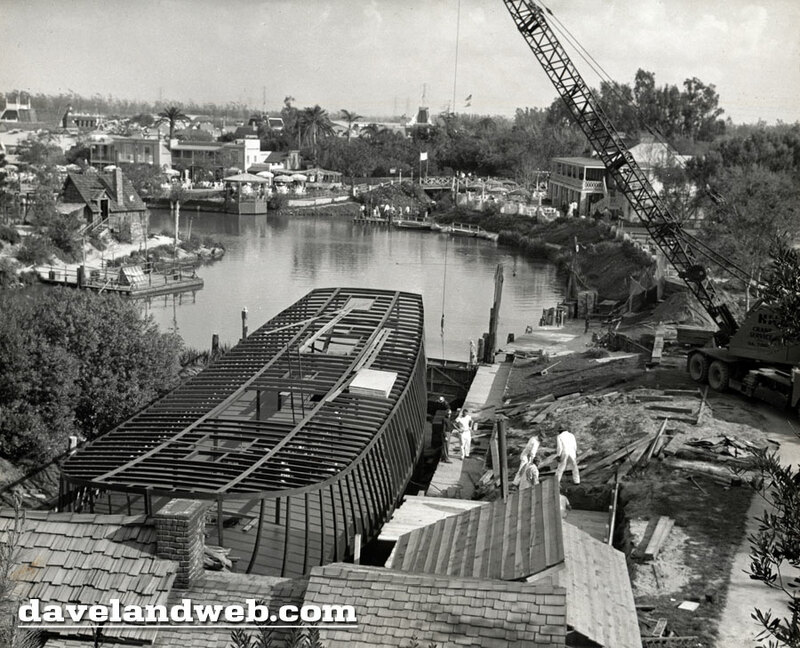 Today's first photo, from August 1955, shows the dry dock area and rickety buildings that Fowler had to cajole Walt into green lighting so that the Mark Twain (and eventually the Columbia) could have a place to be serviced. 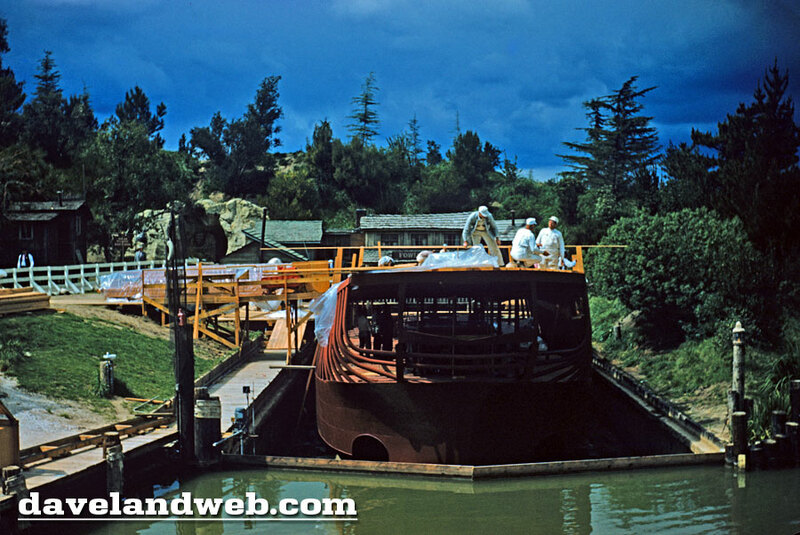 The key element for this area was that it could be drained of water while the boats were parked here, making it much easier to work on the ships, and thus the term "dry dock." 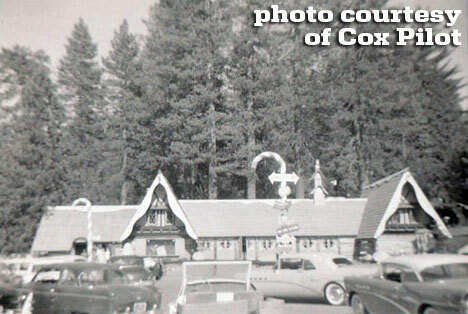 This next undated 1950's image shows that Fowler was being honored by having the buildings named after him: Fowler's Inn. Flash forward to today, and the tribute still stands, still looking as if it could fall down at any minute. 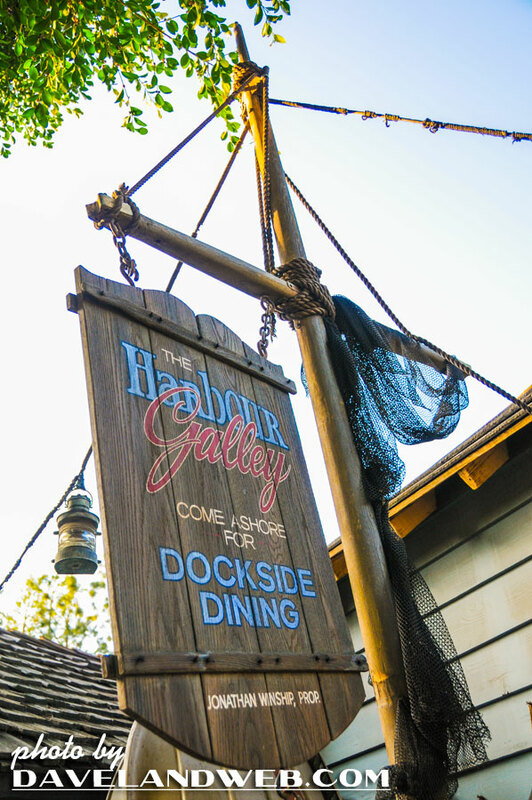 In addition, you can find the nearby Harbour Galley stand with delicious seafood delights for sale. Follow my Daveland updates on Twitter. 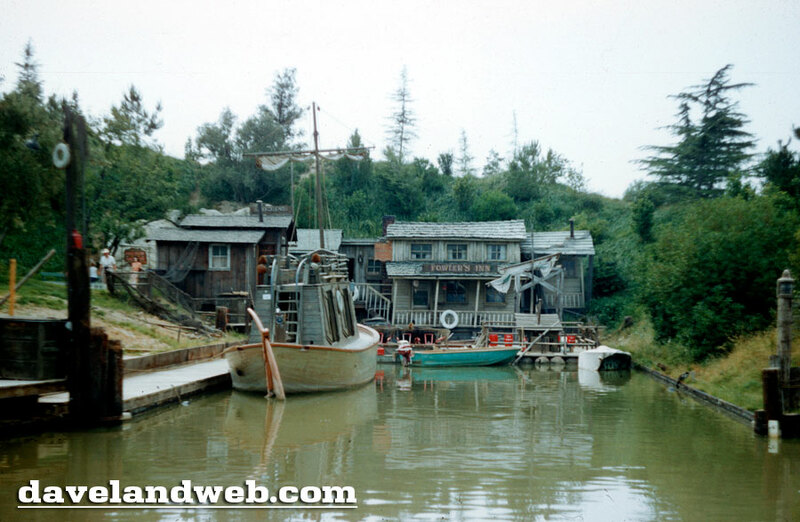 See more Fowler's Harbor at Disneyland photos on my Fowler's Harbor web page. 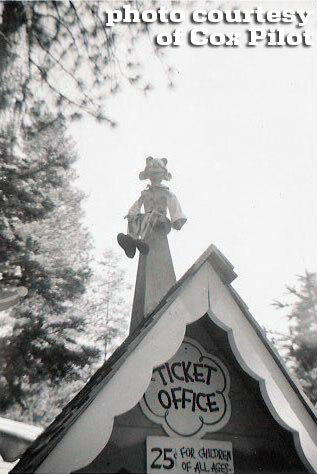 Not everything at Disneyland needs to be high-tech; I'll betcha' a fun souvenir cut-out opportunity like this would still go over big with the guests of today. What do you think? Follow my Daveland updates on Twitter. 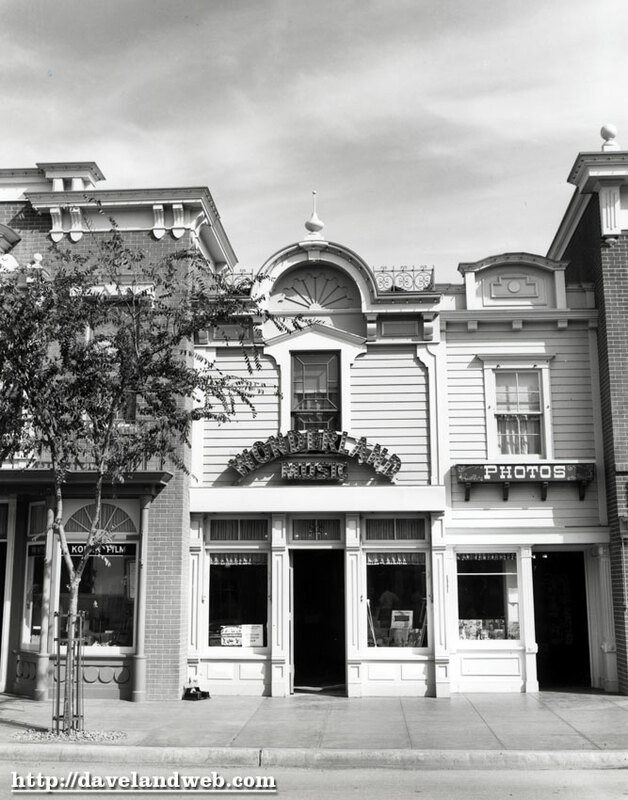 See more Main Street U.S.A. at Disneyland photos on my Main Street web page. 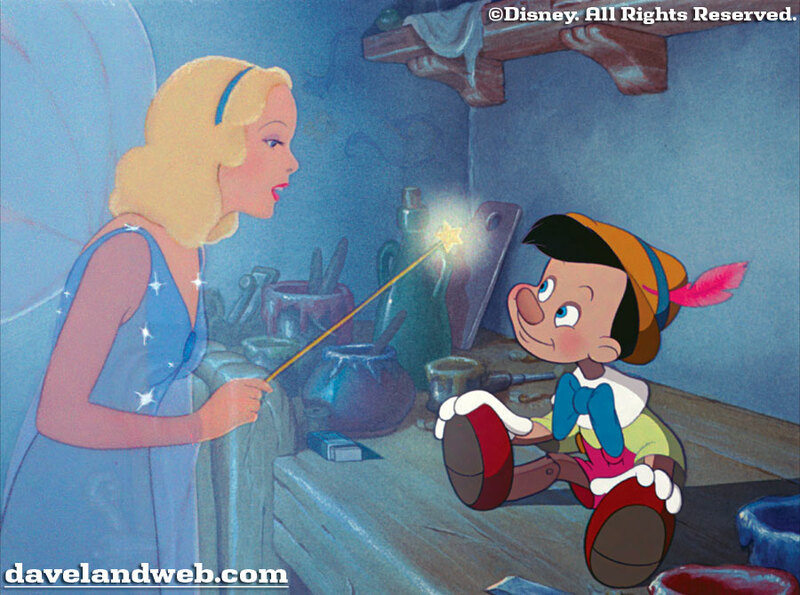 Guest columnist Jenny gives us part 2 today from her Top 10 Scariest Disney Film Moments series. 5. 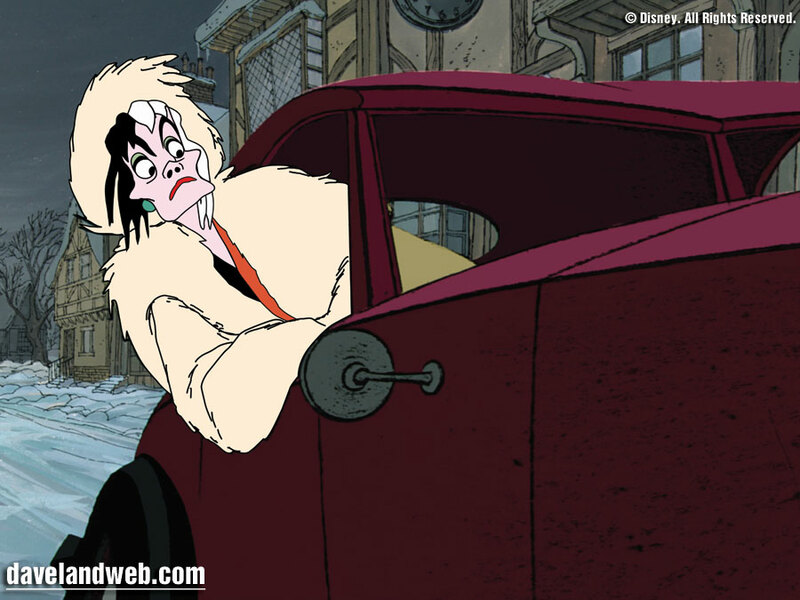 101 Dalmatians – Cruella De Vil Snaps The evil Cruella has a huge fur fetish but when she can’t find any dalmatian skin, she suddenly snaps and reveals her inner monster. Frantically driving after the lorry full of dalmatians, Cruella tries to knock them off the slippery roads with a face of thunder and eyes almost popping out of her head. 4. Snow White and the Seven Dwarfs – The Forest If the sight of a giant Huntsman looming over the defenceless Snow White with a huge dagger wasn’t scary enough, Snow White then runs away into the terrifying woods. 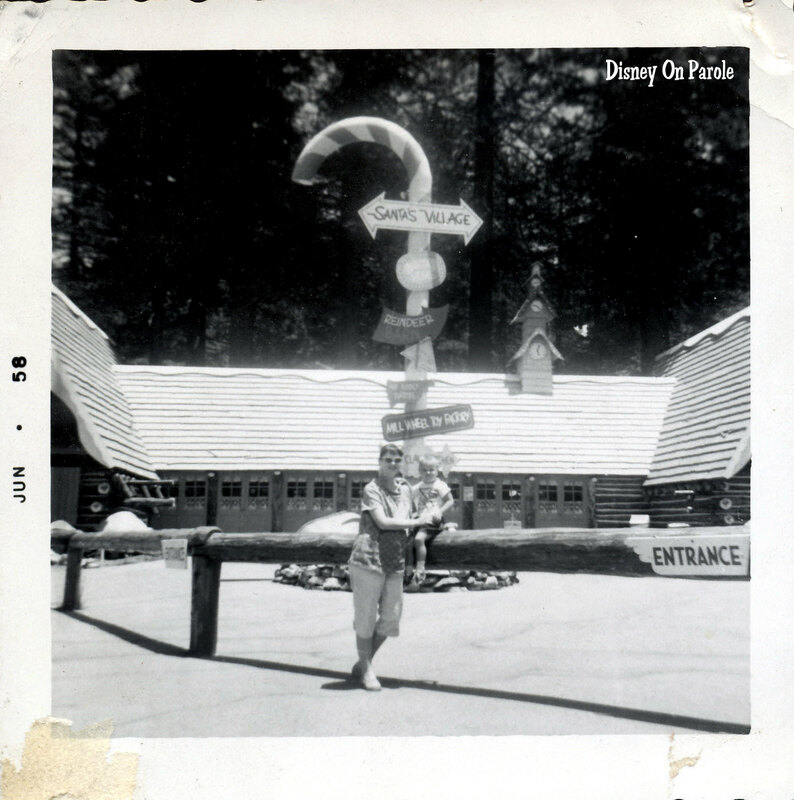 In the forest she’s greeted by frightening owls, bats and alligators, as well as trees that are monsters and every branch is a petrifying hand. 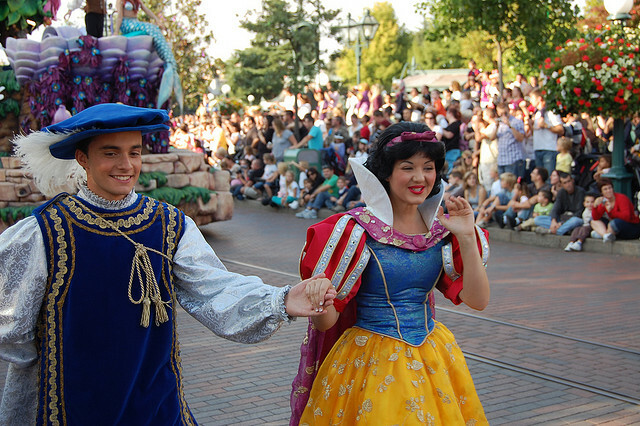 Experience the story for yourself at Eurodisney Paris by visiting the Blanche-Neige et les Sept Nains ride – if you dare! 3. 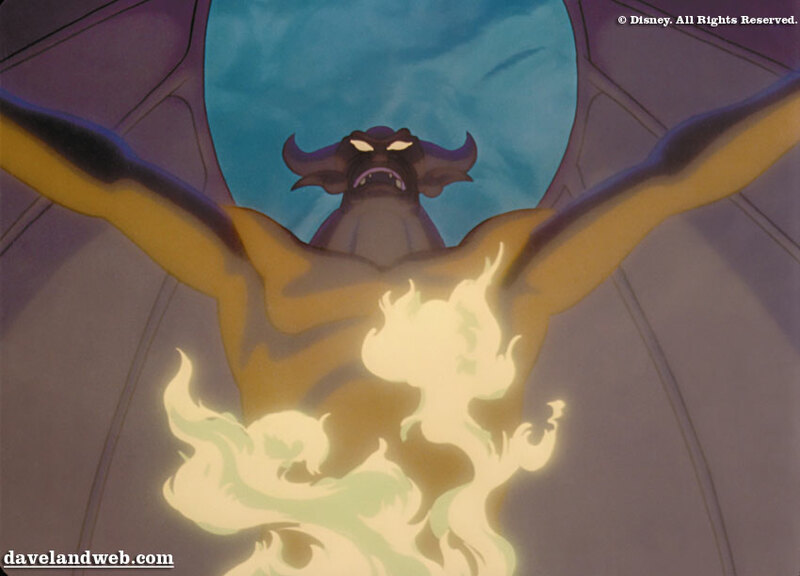 Fantasia – A Night on Bald Mountain Many people find Fantasia both fascinating and terrifying and the final animation sequence, ‘A Night on Bald Mountain’ is probably the scariest of the lot. The chilling Chernabog manages to give you the creeps without even speaking. Summoning evil spirits from their graves, they dance and fly through the air before the sun forces them to retreat. 2. 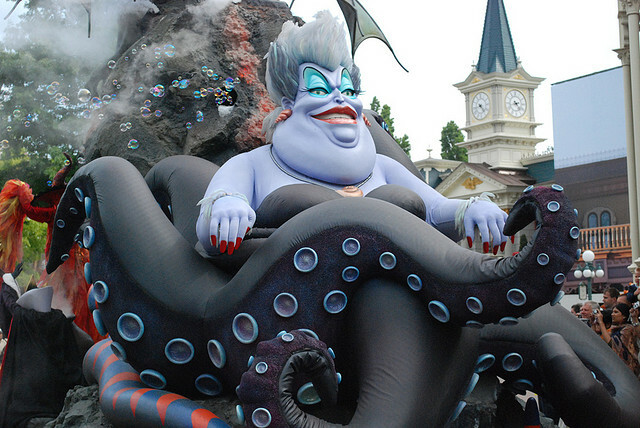 The Little Mermaid – Ursula After accidently killing her beloved pets, Ursula gets angry – her eyes bulge and she grows into a super giantess in a bid to destroy her enemies and rule the ocean. The scene where she tries to kill Ariel and Eric, when rising from the ocean with the pair on top of her crown, is truly terrifying. 1. Pinocchio – Pleasure Island The boys find themselves locked on Pleasure Island and their indulgences lead to a wholly disturbing transformation into donkeys before they are shipped off in boxes to the salt mines. 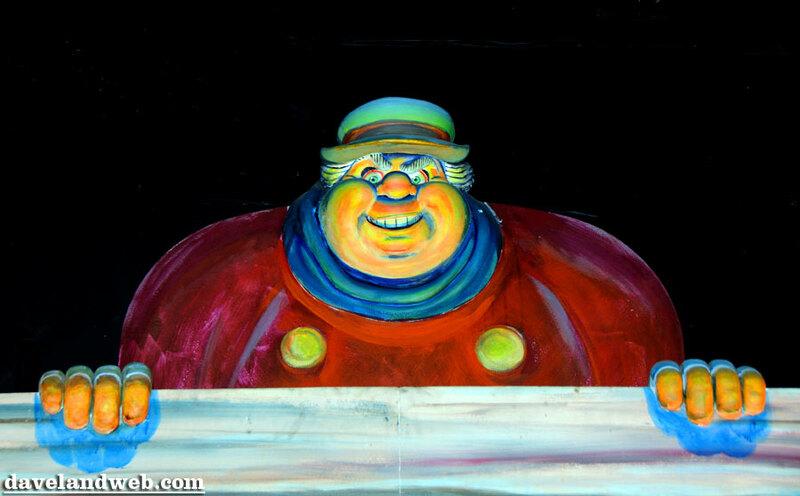 The demonic grin of the Coachman gets creepier by the scene and is by far the most haunting part of the sequence. Now go and enjoy your Sunday...before I ship you off to the salt mines! Follow my Daveland updates on Twitter. 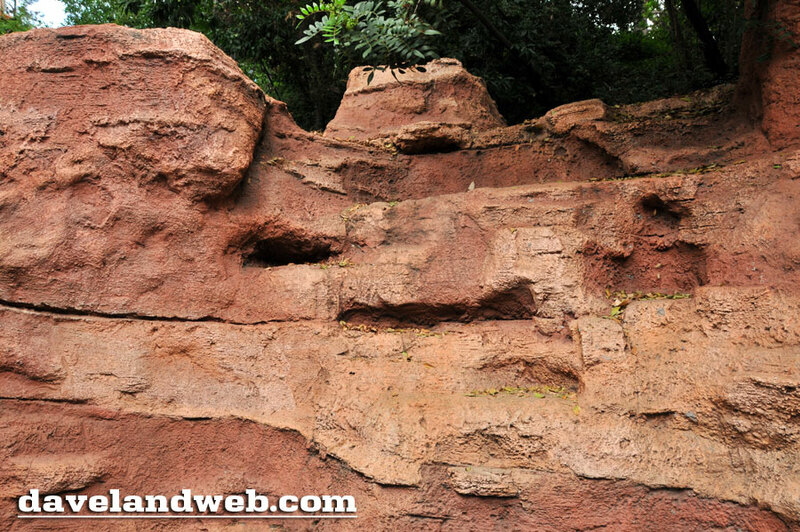 See more Disneyland Paris photos on my Disneyland Paris web page. 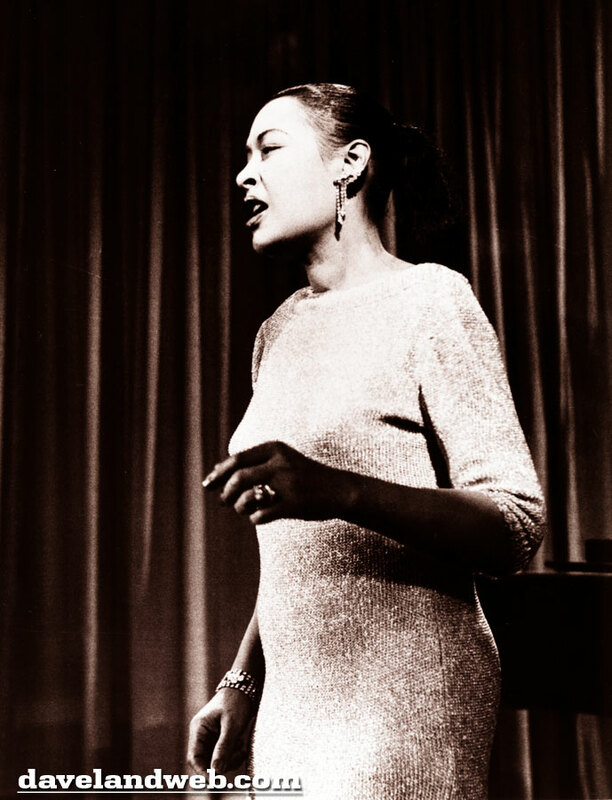 Screen Gem Saturdays: Billie Holiday & "New Orleans"
Like a fine wine, my taste for Billie Holiday is something I acquired as I matured. 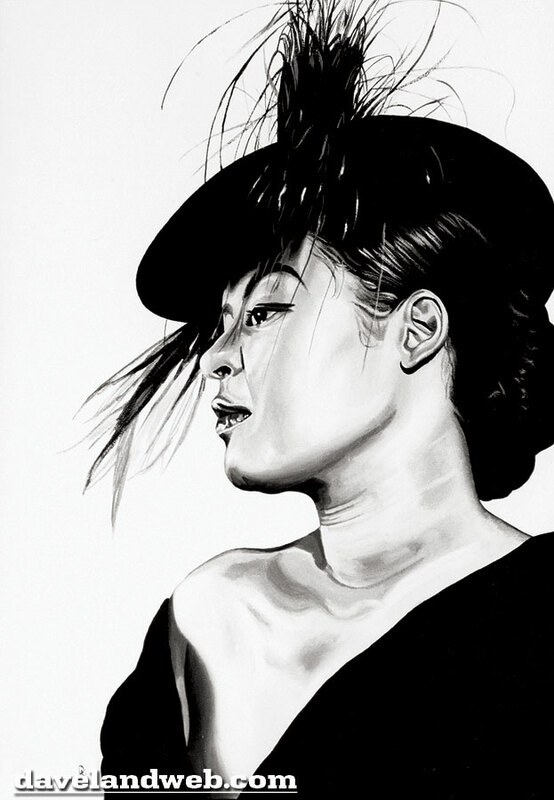 Her vocal range may have been limited, but she made up for it in her styling and emotional punch. What a talent. 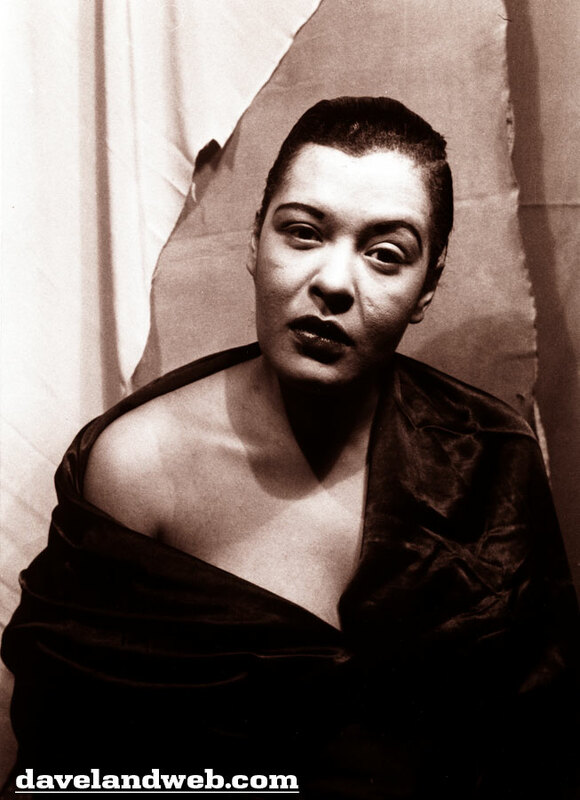 This 1949 portrait by Carl Van Vechten is one of my favorites of her. 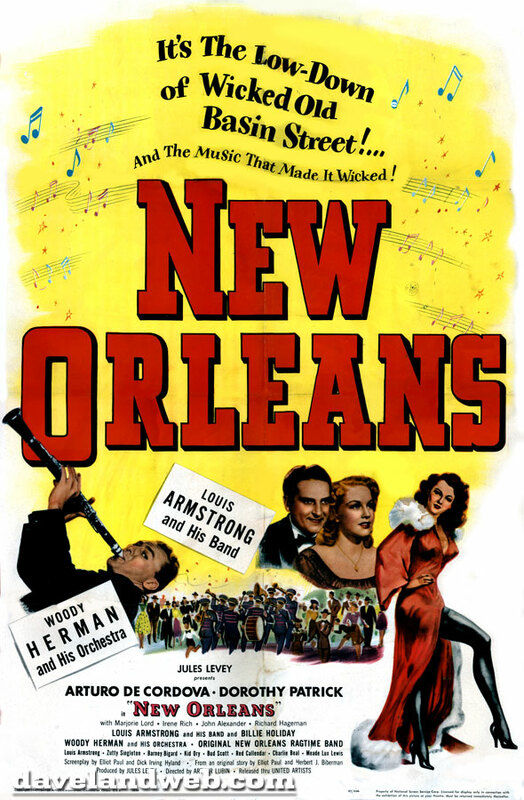 Two years earlier, Holiday had a supporting role in a very forgettable United Artists film titled "New Orleans." The most memorable thing about this film are its musical numbers which are held together by a very trite plot. The movie posters attempted to drum up interest by pushing a supposedly hot & steamy movie; the word tepid is more accurate. 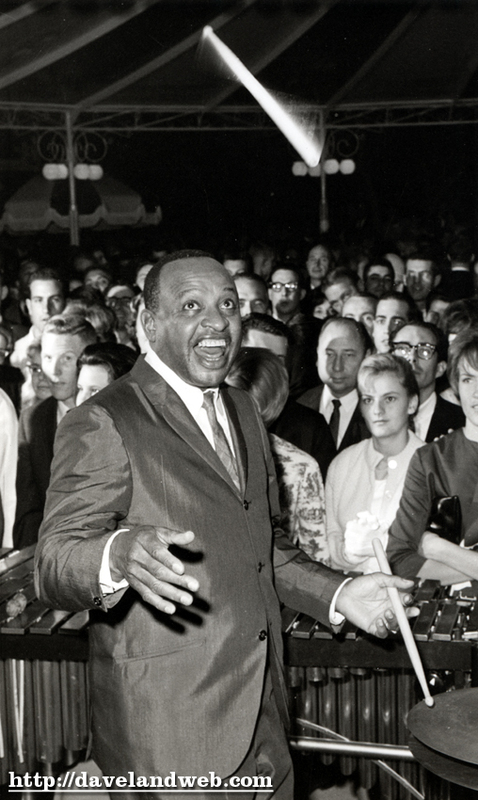 Besides Billie, Louis Armstrong and Woody Herman & his orchestra are also along for the ride. Holiday's role of Endie, a maid, is a total waste of her talents. 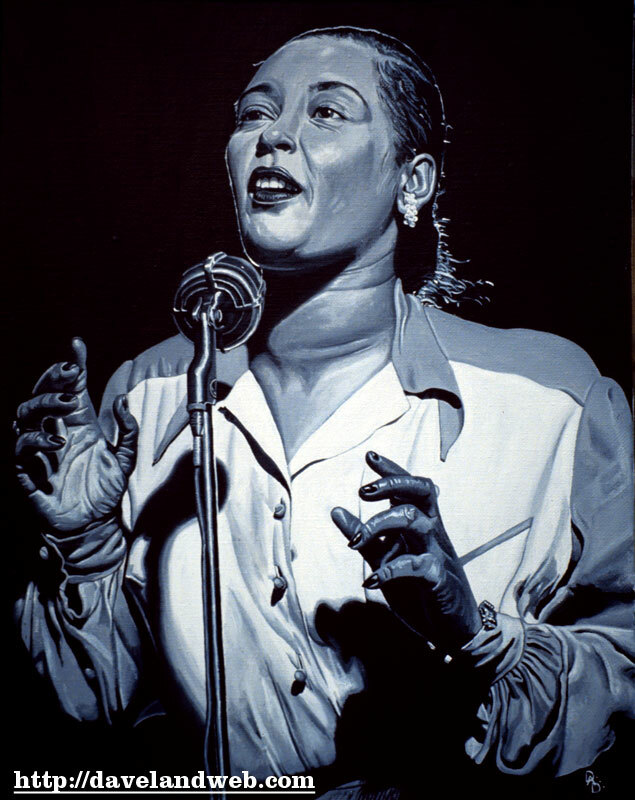 Just like MGM's Lena Horne, it is a sad statement of the times that these two talented African American women were relegated to throw-away bit parts which served as an excuse to showcase their vocal talents. From film critic Leonard Maltin: Hackneyed fictionalization of the birth of jazz, spanning 40 years, but there's plenty of good music. Holiday (cast as a maid!) 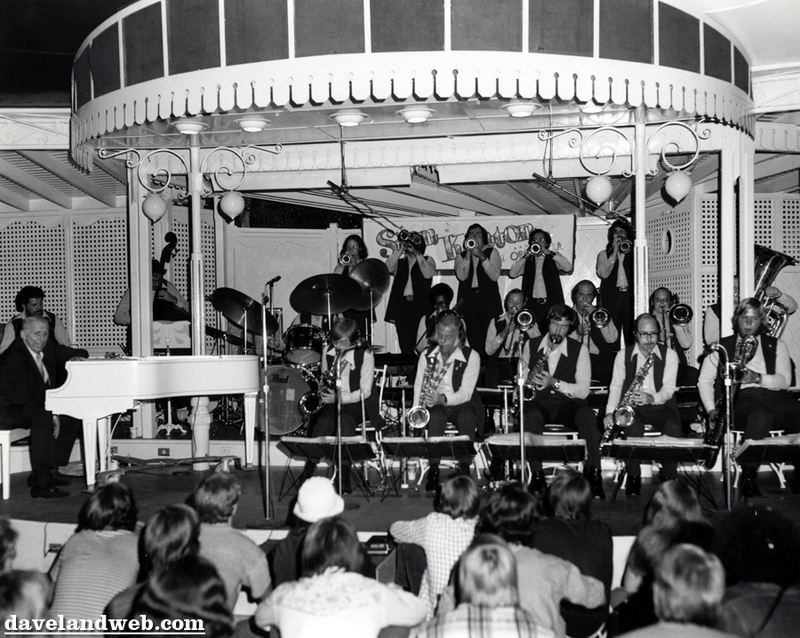 does "Do You Know What It Means to Miss New Orleans'' with Armstrong and all-star band, and it's sublime. Shelley Winters appears briefly as de [Arturo de] Cordova's secretary. To see more Classic Movie & TV photos, visit my Classic Hollywood web page. 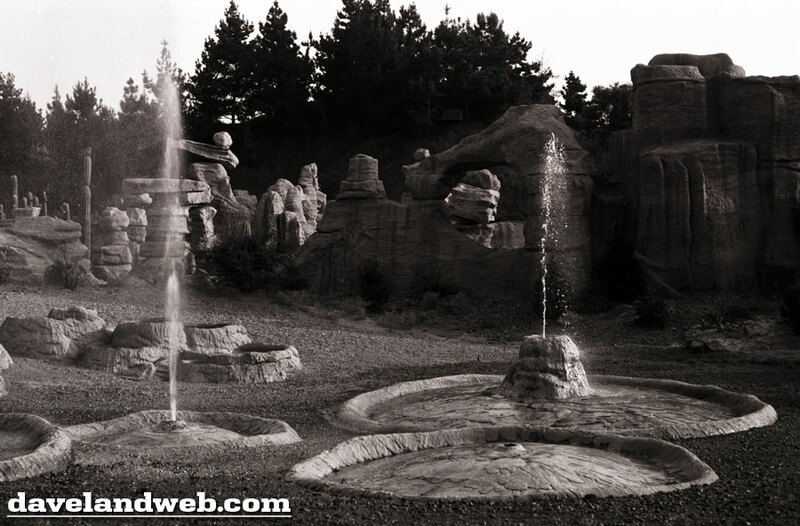 More photos from the 1960 upgrade to Nature's Wonderland as well as the creation of the long-gone Cascade Peak (what was that about steel vs. wood, Stu?). 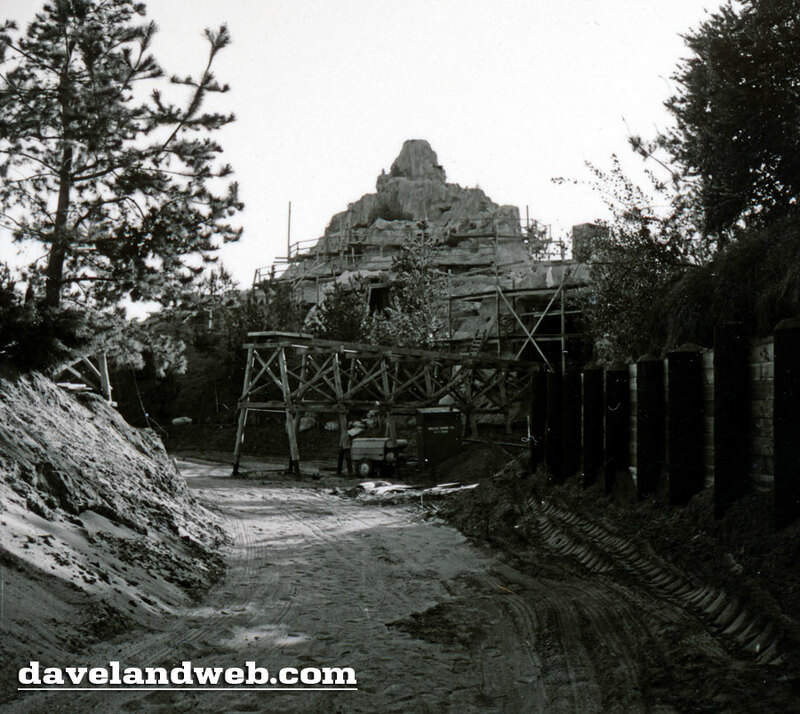 In this July 1965 comparison shot, you can see that the previous rock work is for the Pack Mule trail, another casualty of progress. 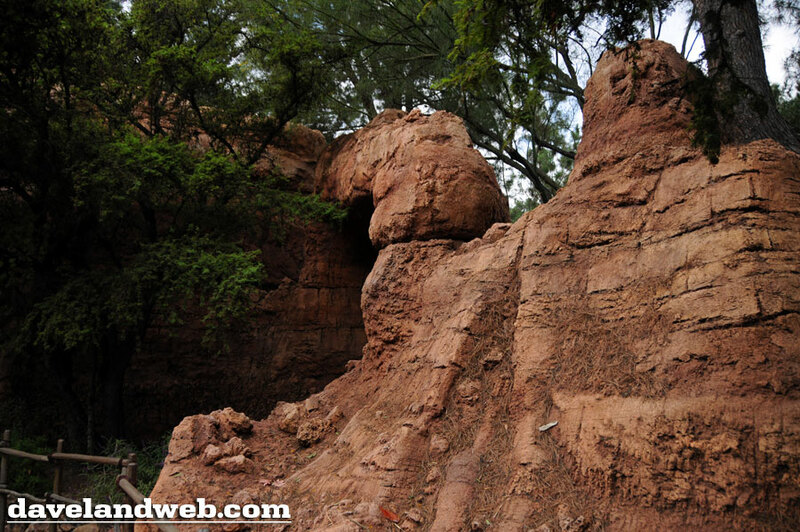 Today, there are still remnants of some of this rock work if you look carefully around Big Thunder Ranch. I think I can hear the Pack Mules now! Follow my Daveland updates on Twitter. 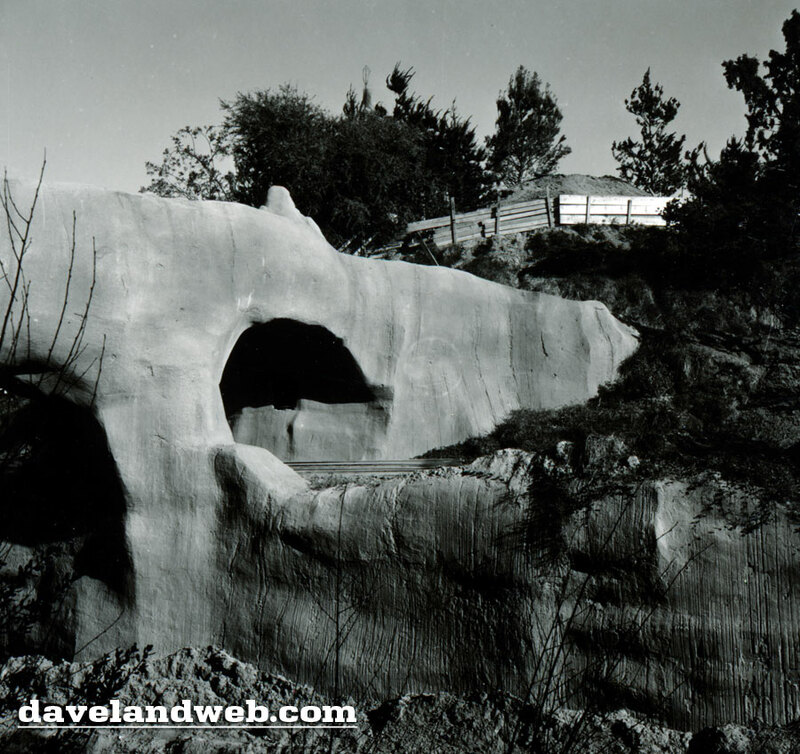 See more vintage Nature's Wonderland at Disneyland photos on my Nature's Wonderland web page. 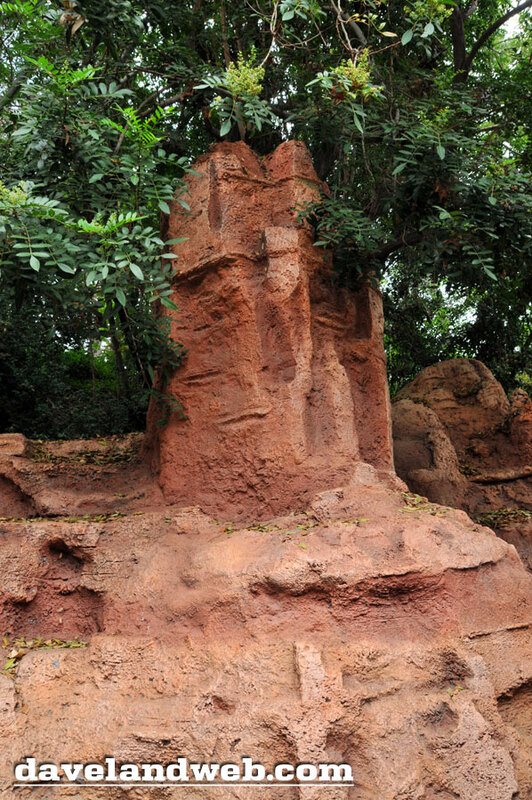 True Love at Nature's Wonderland?